In the same column, Smith also dinged Bartlett for his “conservative” artistic style (realism), and dismissed his paintings as being “more trendy than timeless.” Smith’s comments, which generated a domino effect of subsequent negative reviews—by Peter Schjeldahl, Michael Kimmelman and others—re-shaped the arc of Bartlett’s career. In the years that followed, his close friendship with Andrew Wyeth— a mentor figure that encouraged Bartlett to persevere—and his personal commitment to authenticity helped form the “thicker skin” that protected him as he re-booted his career. Over the long haul, Smith’s three paragraphs had the effect of turning Bartlett further inward, something he has come to value. Bartlett isn’t the only notable realist painter to be treated like a fly and swatted off the coffee table book of ART by east coast critics in the past few decades, but it was still a pretty lonely situation. Fortunately, the more atomized art world of 2016 supports and celebrates a broader range of tastes. Traditional critics and downsized newspapers now hold less influence and the fast-evolving blogosphere supports affinity groups for every kind of art. In the now thriving circle of Contemporary Realism (a necessarily vague title for a set of approaches too varied to name) Bartlett looks more and more prescient: a model of commitment who took some knocks, kept his head down and stayed true to his inner vision. 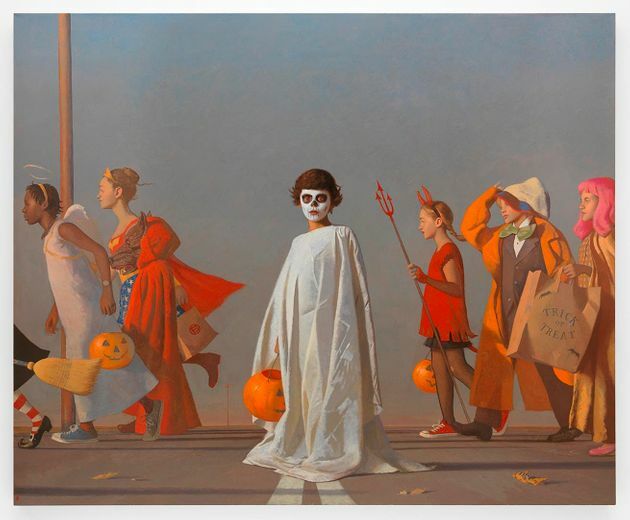 “I was in the thrall of Bo Bartlett the first time I saw his work at the New York Academy of Art,” says artist Graydon Parrish. “From then on, when I need a sabbatical from the machinations of the Art World, I seek out Bartlett’s world to reset my soul.” What Bartlett’s early detractors likely missed—and still often miss—is that his work functions without the slightest trace of fashionable irony: he and his art are of one piece. Bartlett is earnest—sometimes painfully so—and that has created its share of misunderstandings, possibly including Roberta Smith’s sharp reaction to his work. 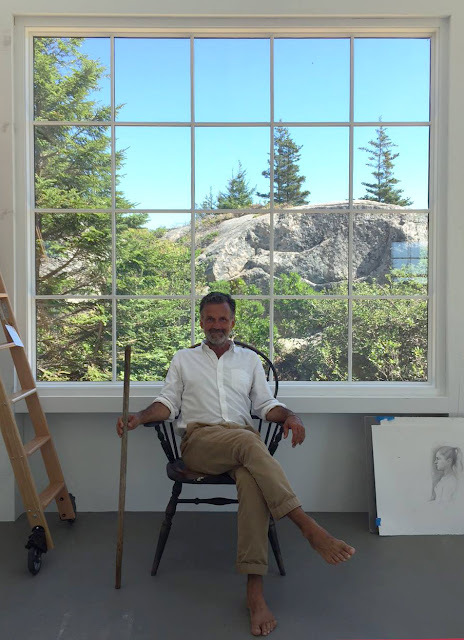 Being earnest—a lingering art world taboo—is part of what makes Bartlett “different,” especially because the content of his work deals with American culture, which he sees as suitable for mythologizing, straight-up, including its deeply embedded optimism. 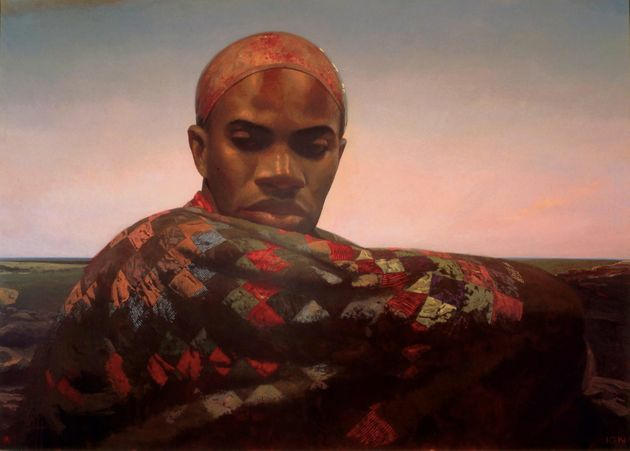 Like his mentor Andrew Wyeth, Bartlett is a realist-savant, a kind of medium who let’s his material come through into paintings that look real, but which are in some respects waking dreams. Yes, Bartlett has been influenced by American realists—including Eakins, Wyeth and Homer—but his work also shares hints of the dreamlike solemnity found in the works of the European masters Balthus and Dali. Bartlett’s best paintings are trapdoors that lead from perceived experience into the mystical, the mythological and the enigmatic. 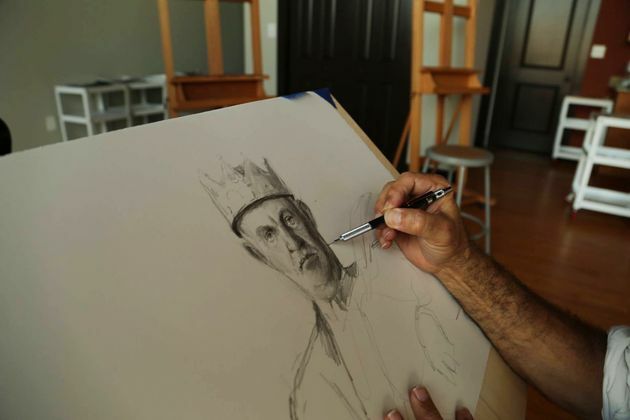 He is an artist-as-intermediary who serves as a guide and then walks away to let you feel the magic—if you can—to the point that you can be present enough to enter and empathize with his characters and their situations. 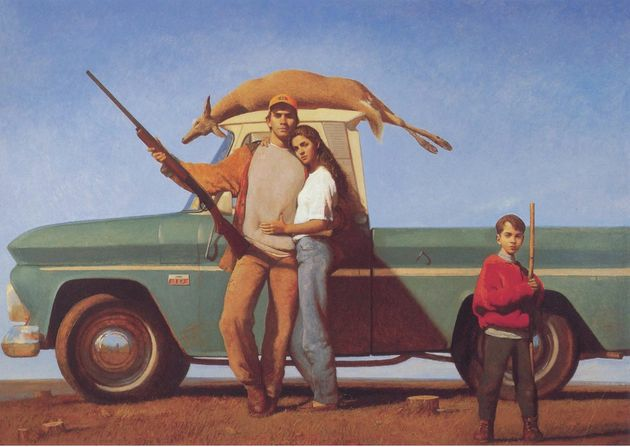 For example, Bartlett’s Heartland series includes a painting of a gun-toting young hunter and his love leaning on a Chevy pickup, which displays a newly shot deer on its roof. In the foreground a boy holds a stick that aspires to be a rifle. Just how does Bartlett feel about this trio and how does he want you to feel? If he has opened the scene up enough so that you can “enter” it without judgment, you are on the right track. 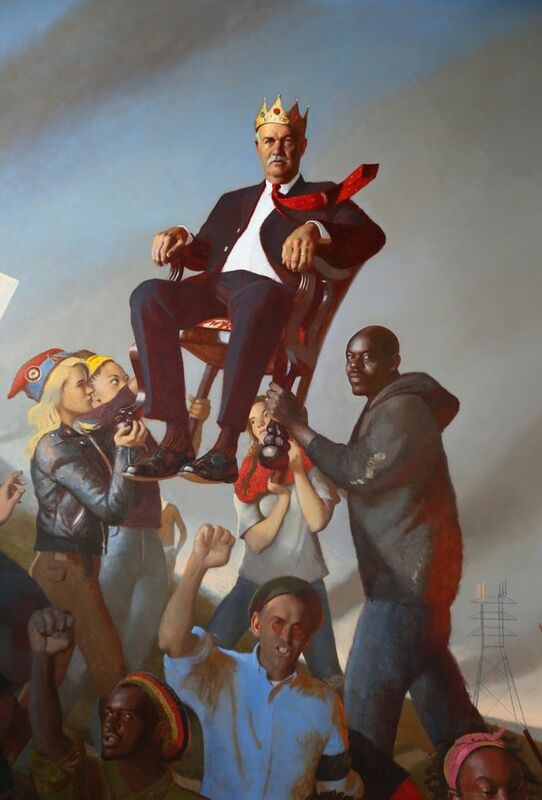 Bartlett’s canvases are vignettes from an ever-evolving quilt of America and American-ness. His life project is to be an agent of positive change; to try and keep the American fabric whole by making its realities evanesce and coalesce into fresh myths. I believe in the power of Art to transform lives. My hope is to find connective tissue between opposing ideas to try to help find common ground, to show that we are all in this together. If we can move beyond the cynicism, the dualistic thinking, all the rhetoric and posturing, if we can listen to others, reach out and find the things we have in common with others we’ll start to resolve some of these conflicts that appear irreconcilable. I’ve seen Republicans and Democrats, the wealthy and the homeless, people of all races and genders, standing shoulder-to-shoulder appreciating the wonder of a work of Art. This personal interest in bridging gaps—of being an intermediary—is the main motivation behind Bartlett’s recent Lacunae Series, which will be on view at Ameringer | McEnery | Yohe Gallery between July 7th and August 12th. 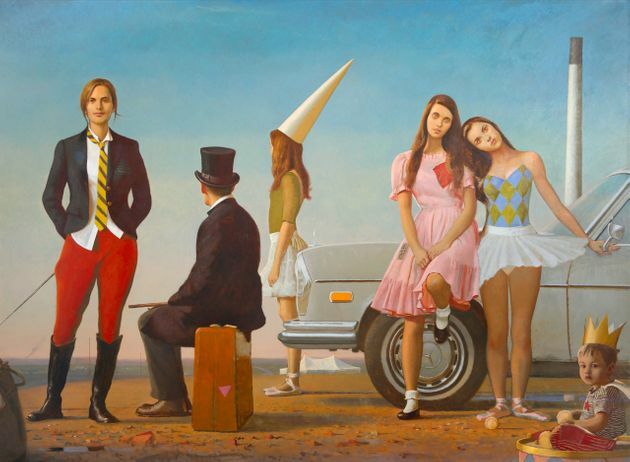 The paintings in this group address the lacunae (gaps) between established religions and modern, secular worlds. Their imagery, which Bartlett describes as “mashed-up,” was inspired by both historical contexts and religious traditions. 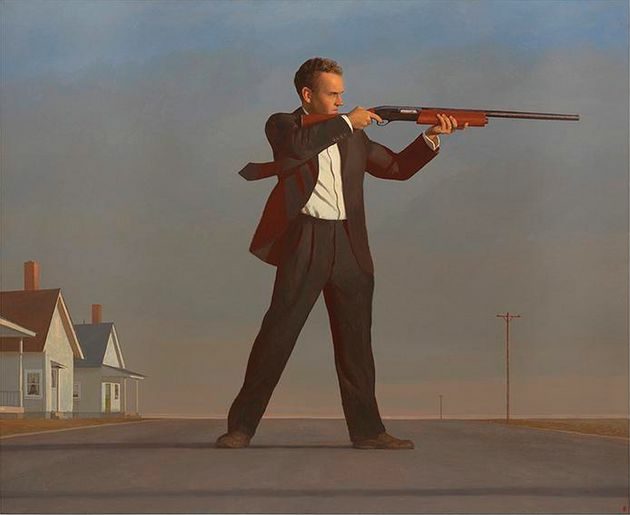 I recently interviewed Bo Bartlett and asked him about some of the themes, ideas and images in his recent work. JS: What are the Lacunae paintings about? BB: The Lacunae address pertinent issues of importance in the culture wars. 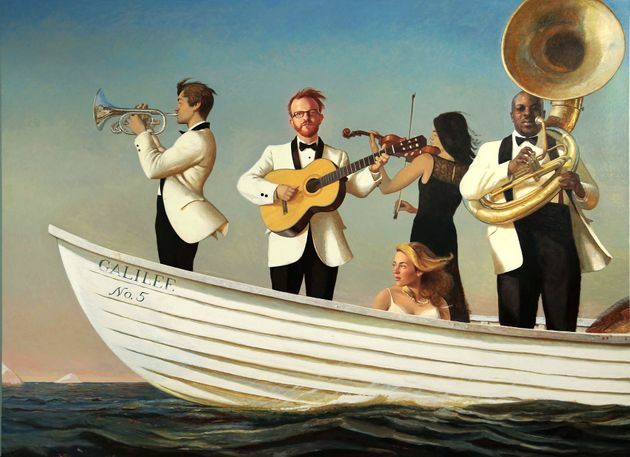 The other paintings with similarly paired themes are Galilee, The Samaritans, Christmas, The American, Halloween, The Promised Land and Oligarchy. 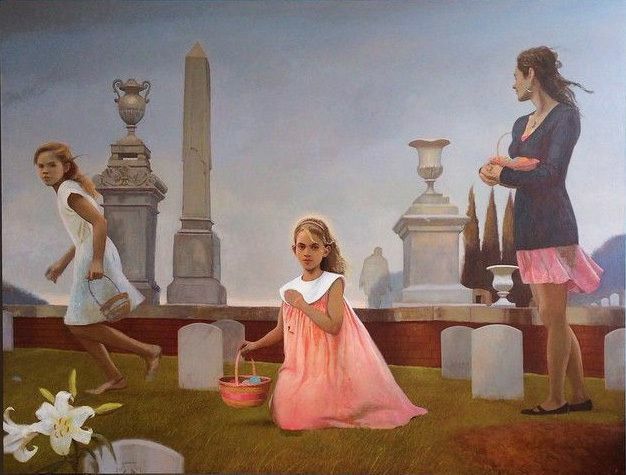 BB: In Easter (also titled Easter Egg Hunt in the Cemetery of the Confederate Dead), the Christian story of the resurrection is mashed-up with the Southern phrase “We will rise again.” Living in the South, both of these points of view are still alive and well. Healthy fodder should come from our surroundings. The Cemetery of the Confederate Dead is beside my studio. A Dixie flag flies over the rows of white grave markers. BB: The painting unfolded during the ongoing battle about Southern State Houses flying the Confederate flag. Sen.Alfred Iverson is famous for his memorable post-war cry “We Will Rise Again.” Iverson is buried in the cemetery. His son was a debonaire General who was largely responsible for Southern troops losing the battles of Antietum, Gettysburg and he was in charge of troops when Sherman drove through Georgia to the sea. BB: Oligarchy started with the subtitle The Sadducces. The Sadducees and Pharisees were the ruling elite in Palestine in the 1st Century BC and AD. They were often the ire of Jesus’ teachings. The Sadducees were in charge of political and religious affairs. They maintained relations with Rome and were in charge of military affairs. 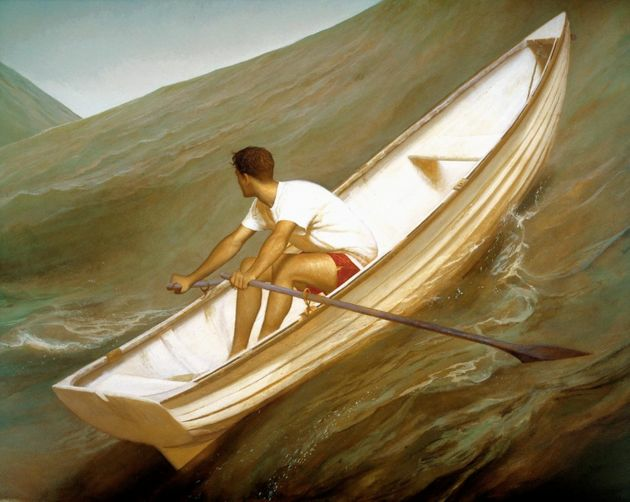 JS: Was there an individual or incident that inspired this painting? Hanging up the phone and turning back around he informed me that he was advising the President. I asked him about his politics, did he support Republicans or Democrats, he quickly waved his hand back and forth saying “Republicans Democrats apples oranges, that’s not where the power is!” And I realized in moment that there is a “They” and that I was in the presence of one. BB: The Oligarchy today is the corporate elite.. Those who profit at the expense of others.. The one percent.. The painting took a couple of years of planning and another year to complete. I did drawings and paintings and studies of the primary characters. My friend, a doctor from my hometown of Columbus Georgia agreed to pose for the King. Students from Columbus State University College of the Arts posed for the crowd of figures below. I want it to feel like we aren’t certain if they are holding him up saying “long live the King” or if they are carrying him over the ridge chanting “Off with his head” to throw him off the cliff. JS: Is there more context? What about the figures who surround the Oligarch? BB: Ferguson erupted while I was working on the painting. 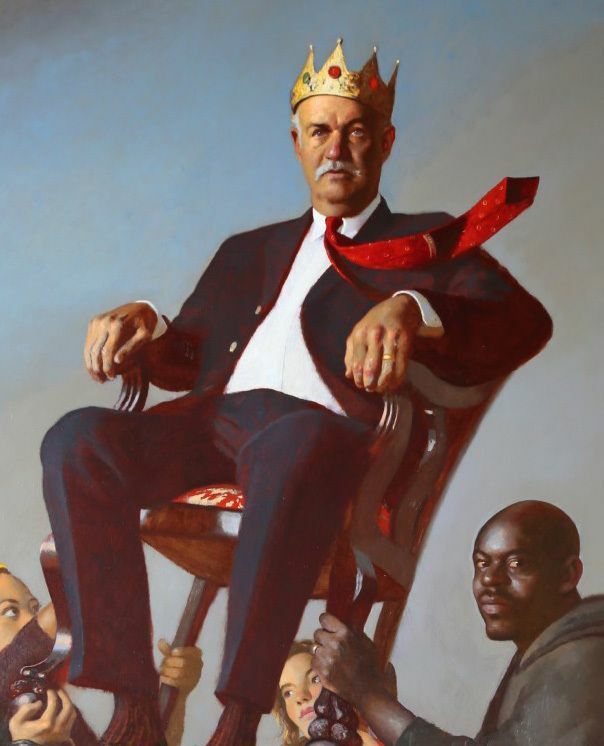 The Black Lives Mattermovement informed the mood, but I didn’t want the painting to represent one particular revolt. The struggles are eternal. The power struggle is eternal. There are right and wrong sides of history. When we realize that protecting our status can hold us back and create a kind of dead document of our lives then we will live not just for ourselves but also for the well-being of others, the other, those who we share this planet with. We live in a holistic system, everything effects everything else. What I do affects you, what you do effects me. Race, class, gender, these are issues of the day. The haves and the have-nots, the 1% and the 99%. I’m not moralizing. The work isn’t didactic. It’s not “history painting” in that sort of way. It is just presenting the situation. The protagonists share the stage. JS: Is it fair to say that there is a new “darkness” in this work: a new sense of complaint? BB: I’m not “anti” and I’m not a “stick it to the man” complainer. I believe in working with what’s there, not tearing it all down. Perhaps you can see that in the choices in my Art. I use convention. I welcome cliche as readily as I welcome original thought. Low and high. Populist and esoteric. It’s all good. I want to build upon what’s come before, history is a cornerstone, our foundation. Evolution is incremental, not biological evolution, but psychological evolution. The only way to evolve is through understanding the big picture. Understanding the other. Through Empathy. Art engenders empathy. It can transform us. Art is freedom, real freedom. JS: What motivates you as an artist? BB: Since reading Suzi Gablik’s The Re-Enchantment of Art in the early 90’s I have grappled with how to meld the challenges she put forth with a sustained artistic practice. I have continued to paint. But my practice has expanded to include teaching school children, working with the homeless, teaching them to paint to express themselves, to tell their stories. Joseph Campbell said “the artists are the prophets”, if that is true, we all have to work harder to be agents of change; to make the world a better place. Opening Reception: Thursday 7 July, 6:00 - 8:00 p.m.